DALLAS – Dallas Police Chief U. Reneé Hall has issued a statement explaining why no disciplinary action has been taken against Officer Amber Guyger. 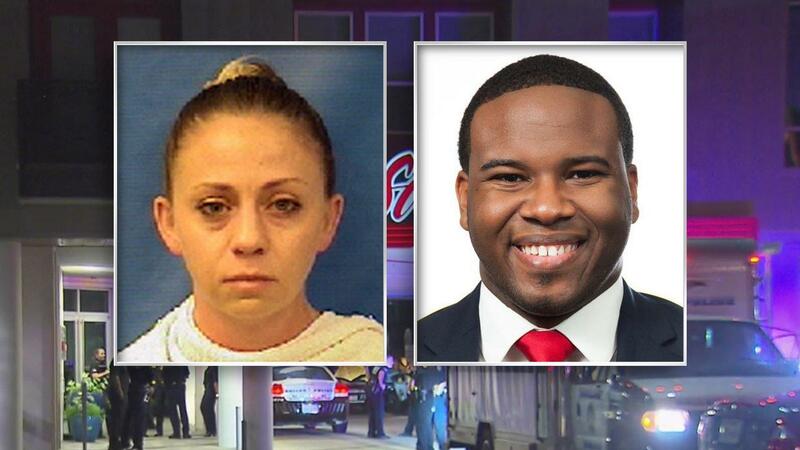 Guyger is charged with manslaughter after she shot 26-year-old Botham Jean, her neighbor, on Sept. 6 at his apartment. The officer told investigators that she mistook Jean's apartment for her own and thought she was being burglarized. However, his family members told CBS News that Botham placed a red carpet in front of his door to distinguish his apartment from others. CBS Dallas/Fort Worth reports that Guyger's case is being investigated by Dallas Police, the Texas Rangers and the Dallas County District Attorney's Office. Some in the community, including Jean's family's attorney, have called for Guyger to be fired. "There is one overriding reason that I have not taken any administrative or employment action against Officer Amber Guyger. I don't want to interfere with the on-going criminal investigation into her actions. "Here's why. As an employer, DPD can compel Officer Guyger to provide a statement during a DPD administrative investigation and those statements given to DPD could potentially compromise the criminal investigation. Dallas lawyer and former police officer Pete Schulte told CBS Dallas/Fort Worth that he questions the chief's statement. "Both the internal investigation and the criminal investigation should be ongoing at the same time," he said. "There is no ability for the internal affairs investigation to cross over to what the Texas Rangers are doing. It doesn't make any sense legally why these two investigations cannot be going on simultaneously, like they have happened in every other case." Last week, attorneys for Jean's family accused Dallas police of trying to "assassinate his character" and expressed fury that authorities sought a search warrant that resulted in the discovery of marijuana in the victim's apartment. At a news conference, the lawyers said the search warrant, which allowed investigators to look for drugs, should have never been issued. Lee Merritt, one of the Jean family attorneys, said that investigators wasted no time in digging for dirt they could use to smear Jean's name. Within hours of Jean being shot, they asked a judge for a warrant to search his home for drugs, among other things.